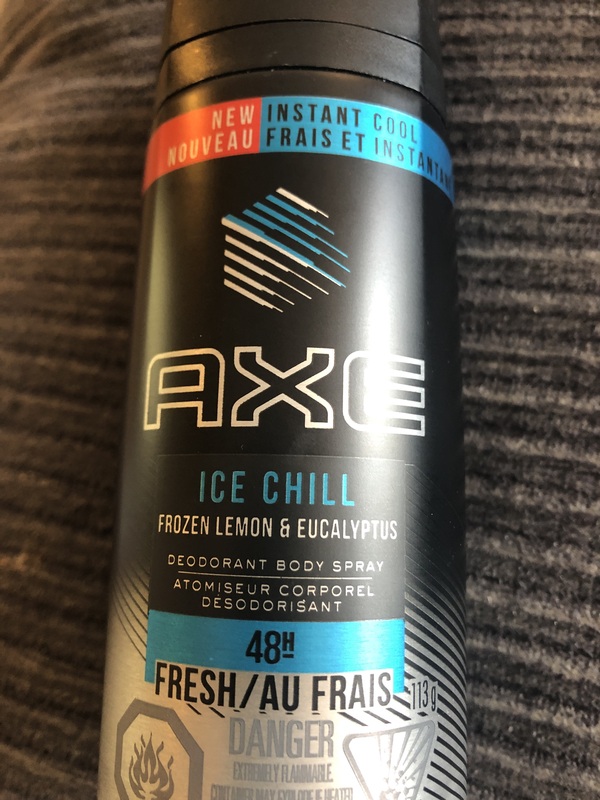 With the unique fragrance of Frozen Lemon and Eucalyptus, AXE® Ice Chill™ not only protects you from body odour but it also has a fresh scent that takes you from day to night. Cools down your skin temperature by 6ºC and helps keep you fresh for up to 48 hours. Nothing about this scent screams new or about this product. We've seen everything before but that doesn't mean it isn't good and effective. It does have a nice cooling effect and as long as you don't overspray the scent is fine. 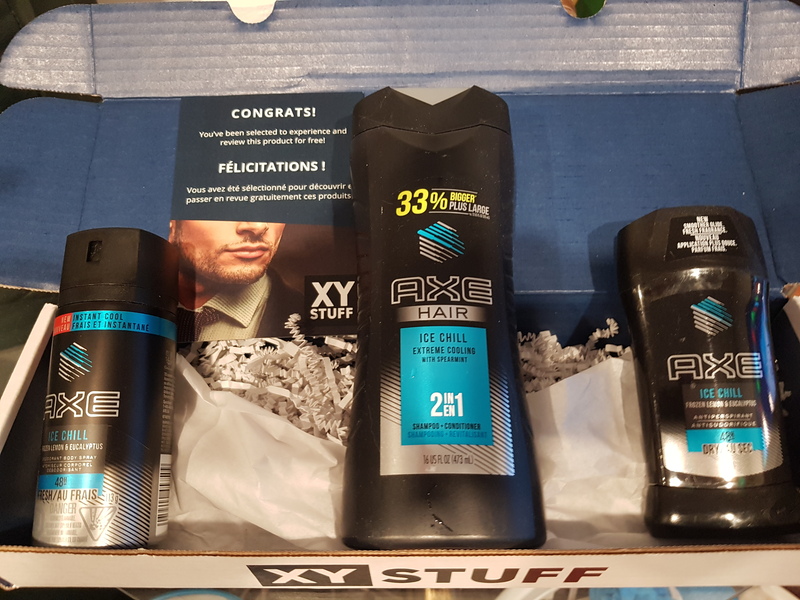 Habituellement, ce genre de produit est apprécié dans la maisonnée. Cependant, les deux hommes a qui je l'ai fait essayé ont été déçus. Pour commencer, l'odeur ne reste vraiment pas longtemps. Après environ une demi heure, on ne sent pas grand chose. De plus, après seulement 4 utilisations, le vaporisateur a brisé, le rendant inutile. Cependant, je dois avouer que l'odeur est très bien! Mais pour les autres raisons, je ne pense pas mettre ce produit sur ma liste d'achat! 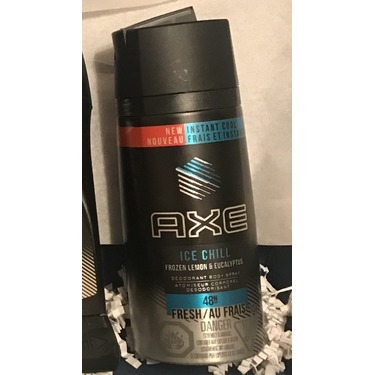 My husband like the scent of ice chill body spray thanks to XY STUFF. He use almost every day before going to job. Scent is strong enough to keep him fresh during work. Will recomend. 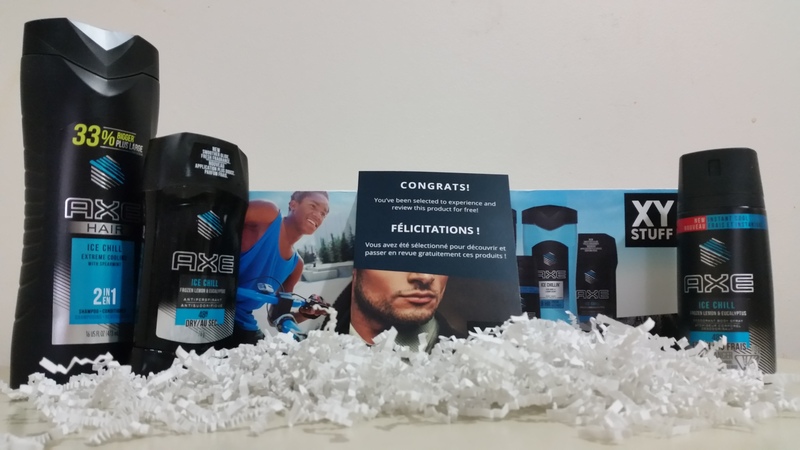 I have never been a fan of deodorant body sprays, and that remains the same for me. Nothing against this product in particular, I just find that they do not last as long as traditional sticks. The smell was pleasant and not too strong. But I found it wore out too quick to cover a full day - which I have experienced with all deodorant sprays. But overall it appears to be a good product with good value. 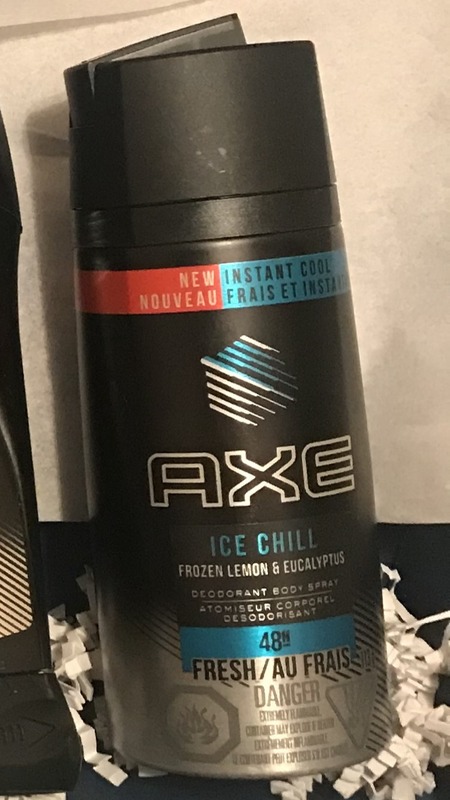 Recommended to someone who prefers this type of deodorant. 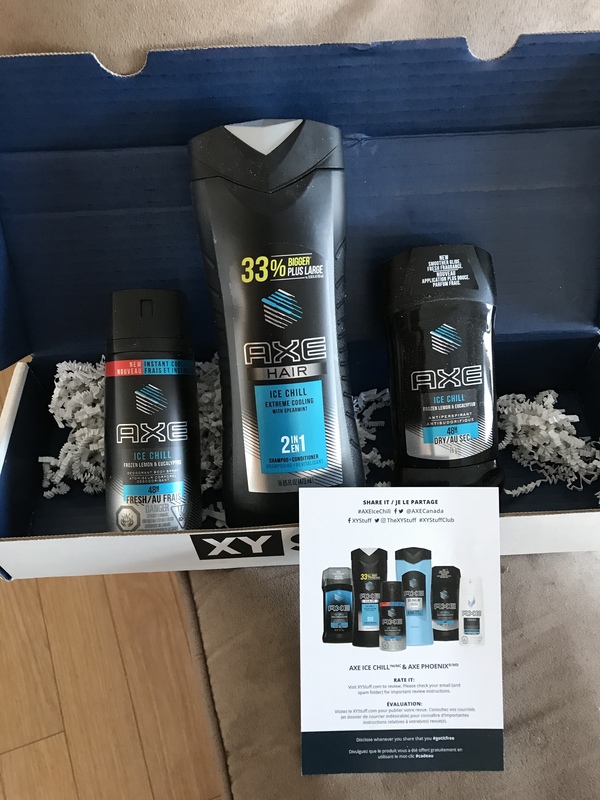 This is my boyfriends new favorite deodorant. He loves the spray aspect of it. It makes it so easy to just spray and go. And it protects all day long. I received this because I was hoping that it would make my boyfriend happy and it worked. I think he has finally found his new smell, and him and I even have a new inside joke from it. I don't mind the smell of it at all either- it can be a little strong but wears away fairly quickly. Would definitely recommend. Will definitely purchase in the future! I got this for my son and would definitely buy this again. It has a nice cool refreshing scent. It is a great product for the price. Love the smell of this one!! 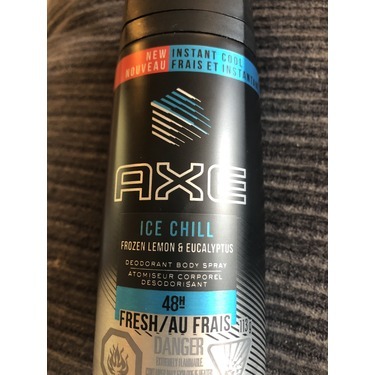 This product was used by teenagers in our household - this is not an item that was used daily (as compared to the deodorant or 2in1 shampoo) - it was used sporadically throughout the week. Not something they put on before going to school, but put on when hanging out with friends..